With the prospect of the last sunset in August looking good I finished my dinner and headed out to a familiar sight. 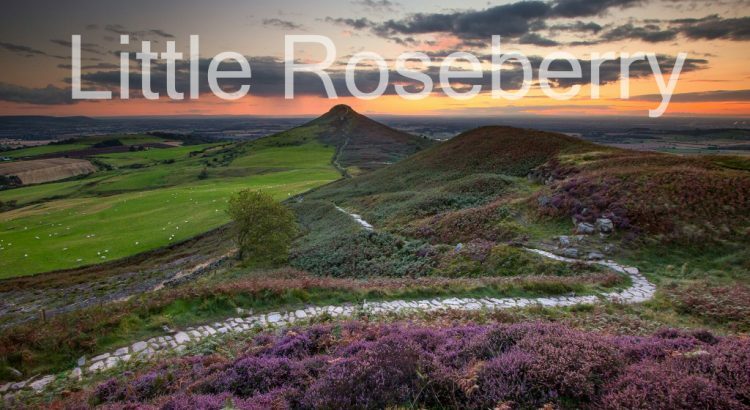 This time however from a new angle, Roseberry Topping from the nearby hill, Little Roseberry. I parked up at Aireyholme Farm and set off up the track. Sunset is starting to draw in at this time of year and I knew I was pushing it close for time. The last occasion I headed up this track was under heavy snow last winter, it was certainly a different prospect now, lots of wet mud! It wasn’t long before I realised even with thirty minutes to sunset it might be a stretch too far. If you have never tried running uphill in heavy mud, wearing wellies and carrying a load of camera gear let me assure you, it is not recommended! I parked at Aireyholme Farm but free parking is available along Aireyholme Lane, postcode TS9 6HP. 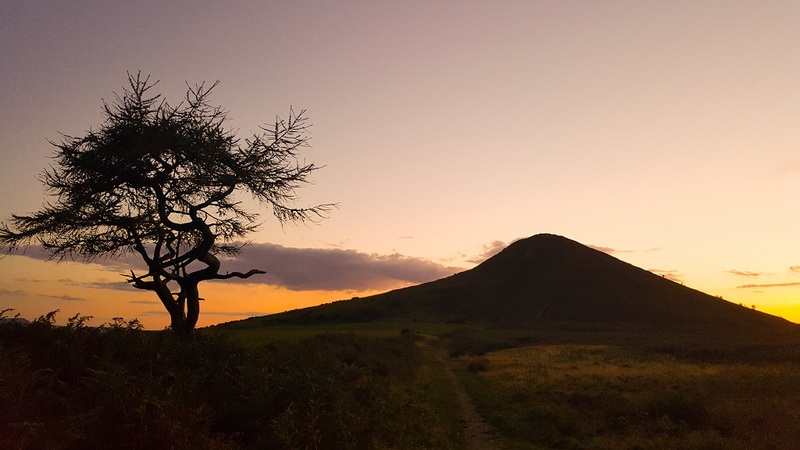 As I climbed Little Roseberry and its winding path I could feel the sun on my back but could also see it quickly heading up the hill. I knew I would miss the actual sun before it headed beneath earlier than planned behind a bank of sun on the distant horizon. The light however was still very beautiful and if nothing else, missing the sun would give me an excuse to return. I noted several different compositions even while rushing my way up, so there is plenty to return to! 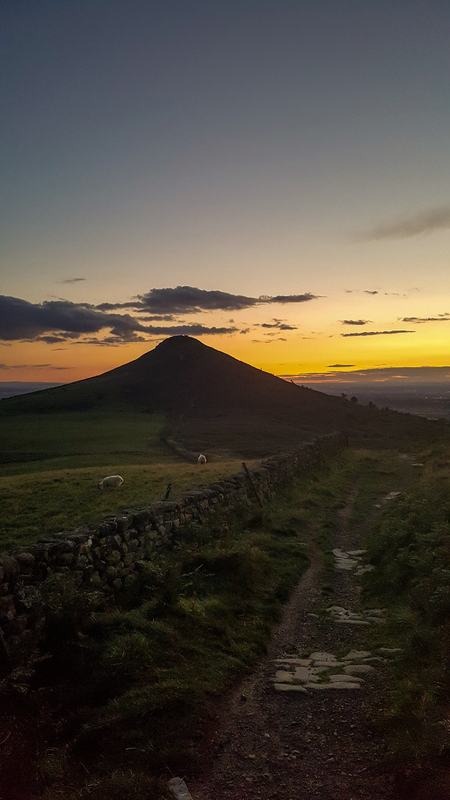 Little Roseberry Sunset – the last sunset of August 2017, not all was lost! 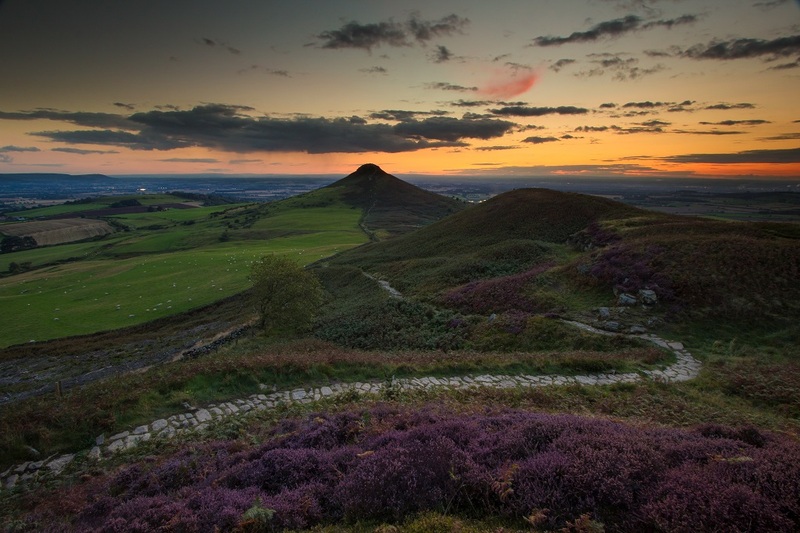 With the light fading rapidly I packed up and set off back down the hill, it’s certainly a lot easier to walk down at leisure than run up in a hurry! 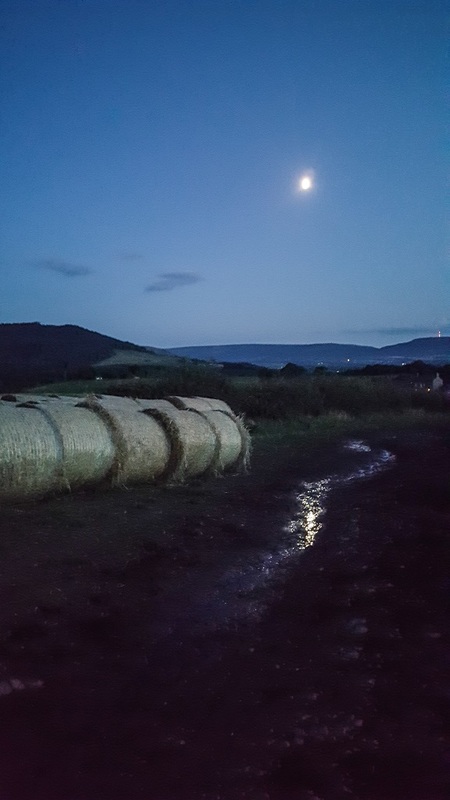 Walking in the moonlight at Aireyholme Farm, fresh hay bales lining the track and Bilsdale mast glowing in the distance. 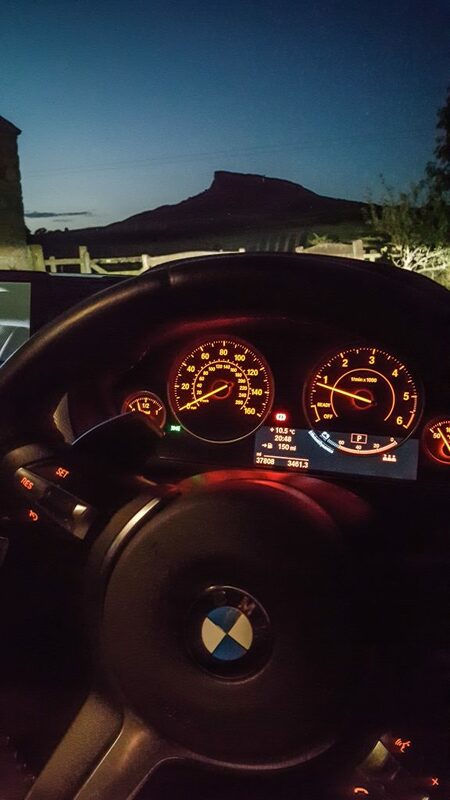 Back to the comforts of the car in the shadow of R.T at Aireyholme Farm. 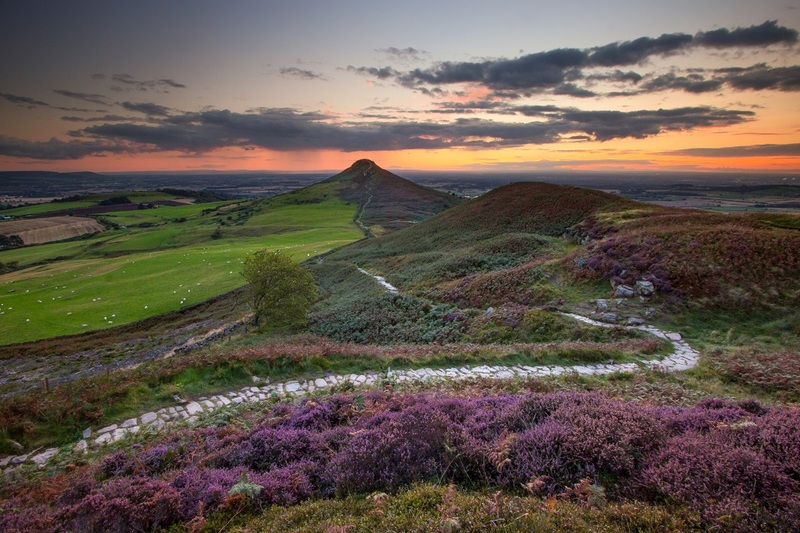 This is a stunning location and one I will definitely be returning to soon! I only wish the heather flowered for longer.